Step into summer with beautiful patterned linens! The Made in Italy Elenors Grove Patterned Trousers feature a thick elasticated waistband making for easy wearing. 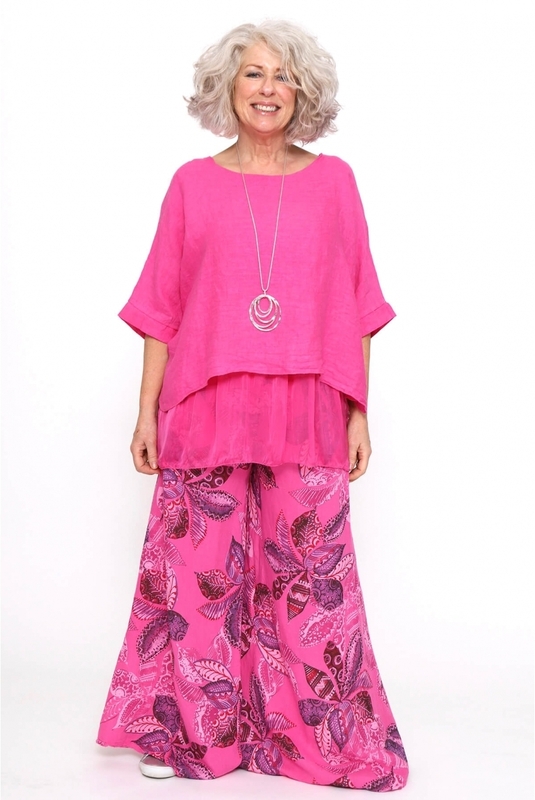 This wide leg style is crafted from 100% loose fitting linen making them perfect for the summer heat. 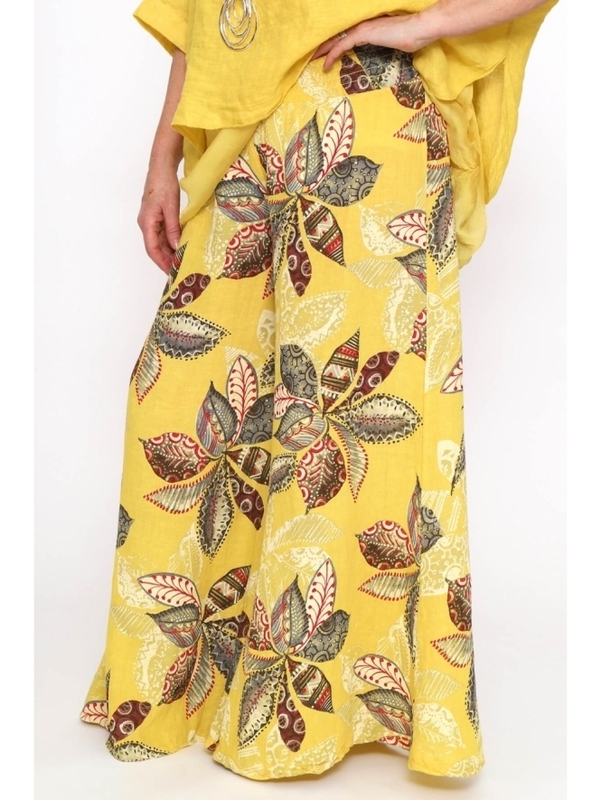 Finished with a beautiful overall floral print, these trousers would pair perfectly with your favourite linen top and you're good to go!